While President Obama praises the "long history" of U.S.-Saudi "friendship" and the "strategic relationship" between the two countries, some State Department officials are privately unhappy over a Saudi-produced film blaming "Zionist gangs" for the suffering of the Palestinians. The film is "The Olive Dream," a soon-to-be-released Arabic-language movie produced by Saudi filmmaker Osama Khalifa. "The narrative of 'the catastrophe of 1948' and the resulting 'Palestinian suffering' has long served as an incubator for violence and anti-American sentiment," an anonymous State Department official wrote in a June 16 "Counterterrorism Communication Alert" obtained by IPT News. "As the US government works to push the Israeli-Palestinian peace process forward, a significant obstacle to winning Arab public opinion and achieving lasting a lasting peace is the current narrative of the conflict." But the Saudi-produced film, which "aims to teach children about the 'Palestinian Cause' from the viewpoint of a Palestinian refugee, may serve to further cement this narrative in a new generation of young Arabs and Muslims," the State Department official warned in the memo labeled "OFFICIAL USE ONLY." "The Olive Dream," which can be found here, can only be described as a blatant attempt to distort history and incite anti-Semitism. It tells the story of a young Arab girl who in 1948 witnessed her father's death at the hands of "Zionist gangs" who "came to take" Palestinian lands. As the State Department alert points out, Khalifa said the film aims to introduce children to the Palestinian cause "from a geographic and religious perspective." One battle scene depicts the Israeli military bombarding civilians and young men fighting back, with a song playing in the background saying that "the world has become a jungle, and the promises of people are mirages" and "death is at the door." Efforts to obtain comment from a State Department spokesman about the film and the muted response to it were unsuccessful. In the animated film a Jewish boy kills a Palestinian Arab man in front of his family. The boy's father tells his son that he has become a man by shooting the Arab father. As the man dies, he hands the keys to his home to his family. His young daughter's face is smeared with his blood. By then the little girl has become a grandmother and her son a doctor who is aiding the anti-Israel "resistance" during Operation Defensive Shield, the 2002 military campaign to destroy the terrorist infrastructure in the West Bank. The "hero" of the movie is the woman's grandson. When the IDF arrives at the refugee camp, the grandmother says, "we don't have a place, let us leave" before the Israelis come. The boy replies: "No, This is our country. This is our land. We need to stay in it." At the end of the film, the grandmother is able to fulfill her dream of returning to her land to plant an olive tree. In an interview with al Jazeera, Khalifa described the belief that Palestinians should stay on their land as "the most important message" in his film. The interviewer asked Khalifa how he planned to get his movie distributed given "the overwhelming financial influence which the Jews exert directly in the cartoon industry and the film industry." Khalifa replied that the premise about Jewish control was correct. He said putting the film together took five years and cost $2 million and that his production team went through nine different scripts before settling on the right one. Khalifa is talking to Egyptian companies about distributing the film in the Arab world. He predicts that 3 million people will see the film in Turkey and he is planning to send samples of the picture to distributors in Great Britain. Few nations have done more than America's "friends" and "strategic" partners the Saudis to make the jihadist terror threat what it is today. For too long American officials in their public statements have tried to dismiss and ignore the continuing Saudi role in enabling terror and fomenting violence. It's time that U.S. officials take a direct and honest approach in their public statements when it comes to malevolent Saudi behavior – like attempting to indoctrinate another generation of Muslim children in Jew-hatred. 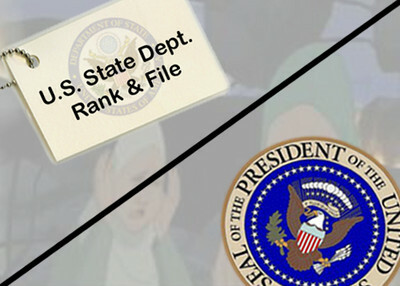 In the past, the State Department has forthrightly condemned published material offensive to Muslims. When riots occurred in protest of the images of the prophet Mohammed in 2006, State Department spokesman Sean McCormack condemned them as "offensive" and stated: "Anti-Muslim images are as unacceptable as anti-Semitic images, as anti-Christian images or any other religious belief. We have to remember and respect the deeply held beliefs of those who have different beliefs from us." The Obama Administration should follow Sean McCormack's example and do the same and call out the Saudis with regard to the raw anti-Semitism that permeates "The Olive Dream."